At the risk of carrying on with the refrain of the previous two books I mentioned in this series, I will say I chanced upon this book rather than consciously deciding to read it. I was in my school-leaving year, when, during summer vacation, I found a tattered, yellowed copy of this book lying around the house. Evidently, my brother had borrowed it from a friend. At that point, Charlie Chaplin to me was this funny-looking, clumsy tramp who featured in some wonderful silent films. 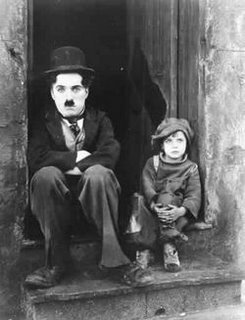 My knowledge of Chaplin came from, and was limited to, the films of his I saw at theatres as a child with my mother and brother. City Lights made the greatest impression on me as a little girl, and without my knowing, the tramp on the screen and the name Charlie Chaplin had morphed into one entity, for whom, one could only feel sorry. For, he was almost always at the receiving end in the films, even though he did good for others. 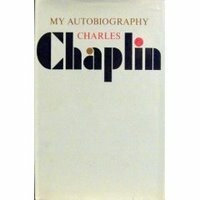 One tattered book, read over 13 days of my school-leaving-year summer vacation, changed my impression of Charles Chaplin. Forever. From the very beginning of My Autobiography, I found Chaplin’s voice strong and confident enough to draw me in as a reader. Given my complete ignorance about this movie maestro, I found his life story mind blowing and nothing short of a miracle in places. From his boyhood dream to act as he saw vaudeville performers passing by his home, to making his debut on stage as a teenager starring as “Billy” the page boy, to his joining vaudeville, which brought him to the United States, and his eventual entry into the film world via Mack Sennett and the Keystone Film Company in 1913, his journey as he puts it in his own words is a rollercoaster of fortune favouring the brave. That he was a hit with American movie goers overnight and decided to go independent within just four years of joining Keystone only reinforces his self-conviction and vision as an artiste and filmmaker. The book provides an excellent peek into the early days of Hollywood, the film fraternity, and Chaplin’s exemplary rise to success. 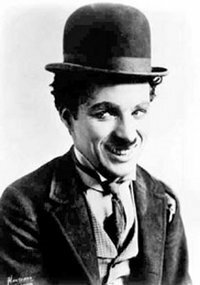 It also tells us how the world-famous attire of the tramp, the principal character in Chaplin films, came about by almost sheer accident and his ingeniousness. As I progressed with the chapters, I couldn’t help feeling astonished at his gumption, focus, and the ability to dream and inspire. From 1921 onwards, this genius of a director/producer produced one gem after the other such as The Kid, Gold Rush, City Lights, Modern Times, The Great Dictator, Limelight and more. We learn how he was able to extract the poignantly memorable performance from Jackie Coogan, the boy who plays the lead character in The Kid. The interaction between little Jackie and Chaplin establishes, how, like many great directors who were to follow him, Charles Chaplin was perhaps among the earliest band of “actor’s directors,” who come with the intuitive knack of eliciting excellent performance from their actors. The book records Chaplin’s resistance to switching to talkies as opposed to his silent films that conveyed dialogues through subtitles at the bottom of the screen. Yet, when he does finally makes talkies, his magic shines in them too, The Great Dictator being a prime example. Chaplin narrates how he had to pay the price for certain political undertones in his films by being forced to leave his movie-making Mecca, America. He makes his observations on the controversy with great conviction and in my view, does a good job of defending himself. 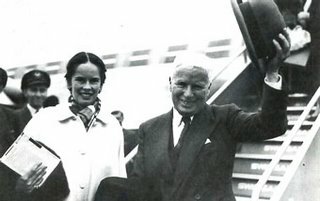 The irony of the situation plays itself out in the grandest of manners, when in 1972, after a three-decade exile, Hollywood confers upon him an honorary award “for the incalculable effect he has had in making motion pictures the art form of this (2oth) century.” For the record, when Chaplin received the award, he was greeted with what is the longest standing ovation in the history of Academy Awards, lasting a full five minutes. My Autobiography is every bit personal as it is professional. For a man like Chaplin, the two realms often blur, as is the case with a lot of members from the entertainment industry. The tramp endeavours to present a discreet yet honest account of his real life relationships, his three failed marriages, his scandalising brush with a paternity litigation (which he won), and finally his eyebrow-raising yet blissfully happy affair and married life with Oona O’Neill, daughter of the famous playwright, Eugene O’Neill and almost forty years younger than Chaplin. The final few chapters are a testimony to this remarkable love affair of the last century, and they brought a smile on my face. After all, I am a sucker for happy endings. And Chaplin’s life, reel and real, end on the happiest of notes. Charles Chaplin’s autobiography may have some holes in so far as presenting facts fully is concerned (he is discreet about his failed relationships in order to maintain his children’s privacy). However, that takes nothing away from the merit of this passionately-told story. This is not just any rags-to-riches yarn. It is the story of a legend–as it unfolded scene by scene–rising phenomenally, fighting against the worst sorts of odds, building a legacy that would remain untouched by time, and putting his stamp on the film world as one of its all-time geniuses. When I completed reading the book, I couldn’t let it remain tattered. I mended it, using the best adhesive at home and covering it with a nice plastic sheet. Books like this are not meant to be ignored for wearing out. They deserve to be preserved. Note: This is the third and last of my posts on some top-quality non-fiction books I have read. It is a follow up to my post Not Fiction? Not a Bore.